CEO and Co-Founder of Waggit, a trusted local network for dog lovers. 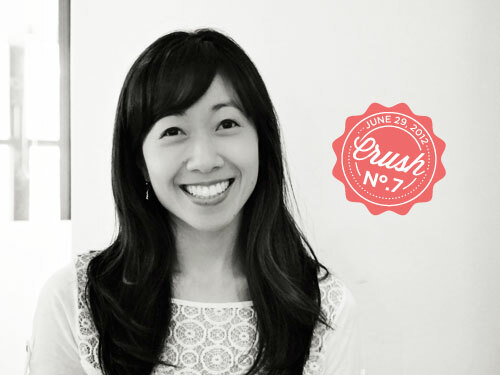 Audrey Tan is CEO and co-founder of Waggit. The site allows dog owners to find kindred spirits in New York City and swap dog-favors with them. I’ll rub your belly, if you’ll rub mine! Audrey blogs at Read Audrey and tweets @audreyhtan. When I was in college, I worked in the computer labs helping people with really basic things like installing virus patches and fixing printer jams. It was the best job ever. That’s when I realized my love for sitting behind a computer to read, study, and help others. If someone asked me how to use a program, even if I didn’t know the answer right away, I’d buckle down and figure it out. I love problem solving and making computers do exactly what you want is addictive. Post-college, my first real job was in IT consulting. That’s when I was able to fully understand how ideas go from drawings on paper, to live sites that are developed and tested around the world. Working with the developers was my favorite part of the job. What excited you about coding? The ability to create something that solves a problem. I think it’s absolutely incredible that syntax, brackets, and logic…compiled and shared on the web – are able to save people time, evoke emotion, and connect people. 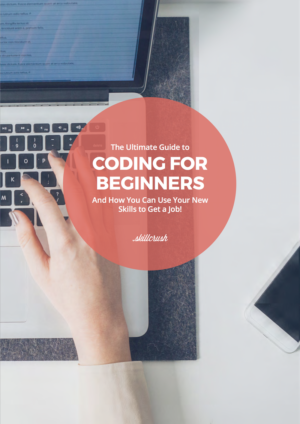 To me, coding is like a new raw material to make products that make the world better and more meaningful. I think the most important thing was learning how to get over my fear and insecurity of being a newbie entrepreneur. For the first time, I’ve had to attend networking events with big wigs and answer tough questions about my business, all the while seeming confident and passionate about my vision. It can be very unnerving when someone more experienced, smarter and more cut-throat makes you doubt your abilities to pull off a startup. By focusing on the things I do have to offer: my charisma, creativity and willingness to listen to others, I’ve been able to push through and keep going. I’ve learned that staying true to yourself and total transparency really does make you attractive to others – even in a bustling city like New York. When did you launch Waggit and how did you decide to make the jump to entrepreneurship? I quit my job April of 2011, right after I had received my year-end bonus. Then I packed my bags, subleased my apartment, and traveled Australia, Korea, China and Thailand for the entire summer. It was incredible. I came back and started working on Waggit full time around September of last year. Waggit is alive on the web, but the site is still a puppy – young and sometimes misbehaves. My decision to take the jump to being an entrepreneur came after a lot of soul searching and reading. I actually just wrote a blog post about this exact question, take a peek! What problem are you trying to solve with Waggit? And how are you solving it? I want to solve the problem of “who can I trust to watch my dog when I travel?” Why should people be forced to board their dogs and pay a ton of money when there’s someone trustworthy and close by that would be happy to exchange dog sitting favors? I have mixed feeling about tech conferences, but I’ve been to ones that have really inspired me. Conferences are great for networking and learning good business practices, but for me, the biggest benefit of a solid tech conference is feeling inspired to keep doing what I love and believe it can work. I love conferences where a founder is able to share about really rough times, but how things eventually turned out. There’s nothing like a real life story to make you believe that it could happen to you. I love watching brainless comedies on my iPad, eating Korean food and asking my girl friends silly questions like – “If you could date Batman, James Bond or Indiana Jones, who would you date?” It’s funny, I try to not talk about Waggit, but it becomes nearly impossible because my friends inevitably ask me about it. It’s a love hate thing.